Andrei Bronnikov was born in Moscow in 1951. He dreamed of becoming a sea captain, but, instead, entered the Yaroslav Theater Institute in 1969. Upon graduating, he joined the troupe of the Young Spectator Theater in Perm in 1973 and worked one season there. 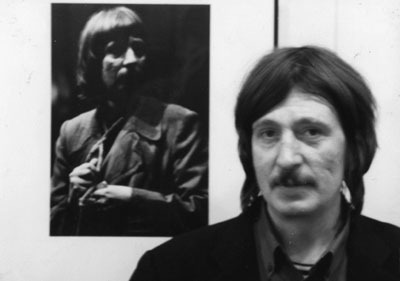 From 1974 to 1979 he was a member of the Young Spectator Theater in the city of Gorky (now Nizhny Novgorod) where he worked with the director Boris Naravtesevich and played some of his best roles, including Orsino in Shakespeare?s Twelfth Night and Tuzenbach in Chekhov?s Three Sisters. He still considers his five years in Gorky the most rewarding of his acting career. He joined the Moscow Young Spectator Theater in 1979 and has been a member of that troupe ever since. In the mid-80s, he studied acting in Oleg Tabakov?s experimental course at GITIS (the State Institute of Theater Arts). Andrei Bronnikov plays four roles in Ariston — The Priest, Tiresius, the Shepherd and Laius.